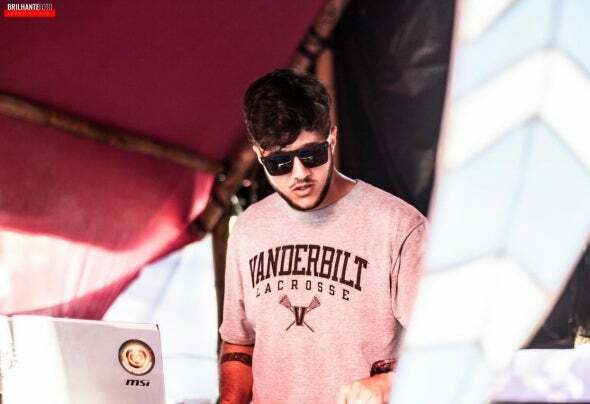 Astro aka Asafe Melocra and based in Brazil, is a new comer and upcoming talented producer with many influences from the psychedelic floors and great experience from the Brazilian parties. Exploring sounds, searching for unique ideas and educated with mixing tutorials, Asafe started his musical journey with his debut EP on Infinity-Tunes. Keeping his personal experiences as a guide, Astro hits back and creates intelligent and modern psy-progressive repertories. Combined with fresh and clean kick-basslines, full-drop arrangements and proper mixing skills, the tracks will detonate your spirit up and make your dance 'unstoppable'. This style is a result of aggressive, pumping elements that only Asafe knows how to incorporate.